Since the independence of Belgium in 1830, governments have been designated with the name of the minister who formed the government as formateur, but that position did not have a specific status. Originally, from 1831 the King of the Belgians presided over the Council of Ministers, but when he was absent, the presidency was taken by the chef de cabinet (Head of Cabinet), usually the oldest or most influential minister. This position gradually became more prominent, and the minister with this title then soon acquired the competency to present the King with the proposed allocation of the various ministerial departments among the ministers. The title of Prime Minister or Premier was used for the first time in 1918 in official documents and it is at this time that the position was assigned to its own cabinet. Only in 1970 the title was incorporated in the Belgian Constitution with the first state reform. Gradually, the Head of Cabinet replaced the King more often during the first half of the twentieth century, and as such gained importance within government. Nevertheless, given his newly acquired prominence, as a member of the cabinet the Head of Cabinet continued to lead a ministerial department. With the expansion of voting rights after World War I, more political parties started to win seats in parliament—especially the Belgian Socialist Party—and this made it impossible to achieve an absolute majority in parliament. Since then, coalition governments have been necessary, which has made the task of forming a government by the appointed formateur more difficult. Consequently, the formateur increasingly gained greater respect, and much prestige. Thus the formateur became prominent as a position of leadership. As the ministers of the government now represented various political parties, there was a need for someone to coordinate the proceedings of the various ministers. The Prime Minister was now asserted as the actual head of government, and this is how the office of Prime Minister came into existence. Besides coordinating government policies, the Prime Minister is responsible for the proper execution of the coalition agreement. He also presides at meetings of the Council of Ministers and manages conflicts of competencies between the ministers. In addition, the Prime Minister represents the government coalition in public, both at home and abroad. It is the Prime Minister who maintains contact with the King and presents the government policy statement in the Parliament. He can also ask Parliament for a vote of confidence, which can even lead to the government's resignation in the case of a constructive vote of no confidence. Unless the Prime Minister resigns because of a personal matter, the whole government resigns when he resigns. The Prime Minister also represents Belgium in the various international organisations, alongside the Minister of Foreign Affairs. Due to the state reform, the Prime Minister acquired a number of additional tasks, such as keeping in check the relations between the different regions and communities of the country, and presiding at the deliberative committee that consists of the governmental representatives of all the federal entities. The day after the federal elections, the incumbent Prime Minister offers the resignation of his government to the King. The King then asks the resigning government to continue as a caretaker government until a new government is formed. The King then consults a number of prominent politicians in order to ascertain the different possibilities of forming a government. He usually consults the presidents of the Chamber of Representatives and the Senate, the most important political parties, and other people of political and socio-economic importance. After the consultations, the King appoints an informateur who is in charge of collecting information from the different political parties about their demands for formation of a new government. After these consultations, the informateur reports to the King so that the King can find a suitable formateur, who is responsible for forming the government. Usually, it is the formateur of the federal government who then becomes Prime Minister. The Prime Minister or Premier is appointed by the King, alongside the other ministers and secretaries of state of the federal government. As the head of government, he is the first to be appointed. Per the Constitution, the King's actions are only valid with the countersignature of a minister. For this reason, the outgoing Prime Minister countersigns the Act of Appointment of the new Prime Minister, and the new Prime Minister countersigns the Act of Resignation of the resigning Prime Minister. The official office of the Prime Minister is located at 16 Rue de la Loi (Wetstraat in Dutch, or "Law Street" in translation) among many notable Belgian government and European Union buildings in the centre of Brussels and around the Brussels Park. The residence includes the Belgian Federal Cabinet, the Chancellery and the Council of Ministers. It functions as the nerve center of Belgian politics. The building was originally erected as the so-called "Refuge House" by the Saint Gertrude Abbey of Leuven. It was designed by the Belgian-Austrian architect Louis Joseph Montoyer. At the time of the United Kingdom of the Netherlands (1815–1830), the building was planned to be used as the location for the Ministry of Foreign Affairs. In 1830 it was purchased by Prince Eugène of Ligne, and from 1944, the building became state property after which it was furnished to function as a meeting place for the prime minister and his cabinet. Albert Joseph, Count Goblet d'Alviella (26 May 1790 – 5 May 1873) was an officer in the army of the United Kingdom of the Netherlands. After the Belgian Revolution, he became a politician and served as Prime Minister of Belgium. Auguste Marie François Beernaert (26 July 1829 – 6 October 1912) was the 14th Prime Minister of Belgium from October 1884 to March 1894. Born in Ostend in 1829, he entered the Faculty of Law at the Catholic University of Leuven at age 17. He finished five years later with greatest distinction.He was elected to the Chamber of Deputies in 1873, and became Minister of Public Works under Jules Malou, greatly improving the rail, canal and road systems. After his tenure as Prime Minister, he represented Belgium at the Hague conventions of 1899 and 1907. He was also co-winner (with Paul d'Estournelles de Constant) of the Nobel Peace Prize in 1909 for his work at the Permanent Court of Arbitration. He was chosen as president of the panel established under the rules of that organization in the Sarvarkar Case in 1911. A year later, he died in Lucerne, Switzerland. A lawyer by profession, he served as Minister of Public Works. He served as prime minister and Minister of Finance from 1884 to 1894. He held the post of president of the international law of association from 1903 to 1905. He was Belgium's first representative to the Hague peace conferences in 1899 and 1907. Barthélemy Théodore, Count de Theux de Meylandt, OCIII (26 February 1794 – 21 August 1874) was a Belgian Roman Catholic politician who served as Prime Minister of Belgium three times. Charles Yves Jean Ghislaine Michel (French pronunciation: ​[ʃaʁl miʃɛl]; Dutch: [ˈcɑrl(s) miˈʃɛl]; born 21 December 1975) is a Belgian politician who is the current Prime Minister of Belgium. He is the son of Louis Michel, also a prominent politician. Charles Michel was the leader of the francophone liberal party Mouvement Réformateur (MR) since February 2011 until becoming Prime Minister. Michel is the youngest Belgian Prime Minister since 1845. Friends of Europe is a Brussels-based, not-for-profit think-tank for European Union policy analysis and debate. The organisation, established in 1999, has no political or national allegiance and is independent of the EU institutions. Its declared goal is to foster open discussion and to stimulate new thinking on the issues facing Europe and its citizens. It is located in the Bibliothèque Solvay in Leopold Park. António Vitorino, former European Commissioner for Justice and Home Affairs and former Portuguese Defence Minister and Deputy Prime MinisterFriends of Europe's Secretary-General is Giles Merritt, a former Brussels correspondent of the Financial Times. Gaston François Marie, Viscount Eyskens (1 April 1905 – 3 January 1988) was a Christian democratic politician and Prime Minister of Belgium. He was also an economist and member of the Belgian Christian Social Party (CVP-PSC). He served three terms as Prime Minister of Belgium, holding the position from 1949 to 1950, 1958 to 1961 and 1968 to 1973. During his periods in office, Eyskens was confronted with major ideological and linguistic conflicts within Belgium including the Royal Question in 1950, the School War in 1958, the independence of the Belgian Congo in 1960 and the split of the University of Leuven in 1970. He oversaw the first steps towards the federalization of Belgium (constitutional reform of 1970). Guy Maurice Marie Louise Verhofstadt (Dutch: [ˈɣiː vərˈɦɔfstɑt] (listen); French: [ɡi vəʁɔfstad]; born 11 April 1953) is a Belgian politician who has served as the Leader of the Alliance of Liberals and Democrats for Europe and a Member of the European Parliament (MEP) from Belgium since 2009. He served as the 47th Prime Minister of Belgium from 1999 to 2008, Deputy Prime Minister of Belgium from 1985 to 1992 and Minister of Budget from 1985 to 1992. He was a Member of the Chamber of Representatives from 1985 to 2009. Since 2009 he has served as a Member of the European Parliament where he is the leader of the Group of the Alliance of Liberals and Democrats for Europe (ALDE) and founded the inter-parliamentarian federalist Spinelli Group. He was the Alliance of Liberals and Democrats for Europe Party nominee for President of the European Commission in the 2014 European Parliament election, and is the European Parliament's representative in the Brexit negotiations. He advocates a federal Europe. Henri Jaspar (28 July 1870 – 15 February 1939) was a Belgian Catholic Party politician. Jaspar was born in Schaerbeek and trained as a lawyer. He represented Liège as a Catholic in the Belgian Chamber of Representatives from 1919 until 1936. He helped create the Belgium-Luxembourg Economic Union in 1921, and served as the 27th Prime Minister of Belgium from 1926 to 1931. In 1924 he was made an honorary Minister of State. 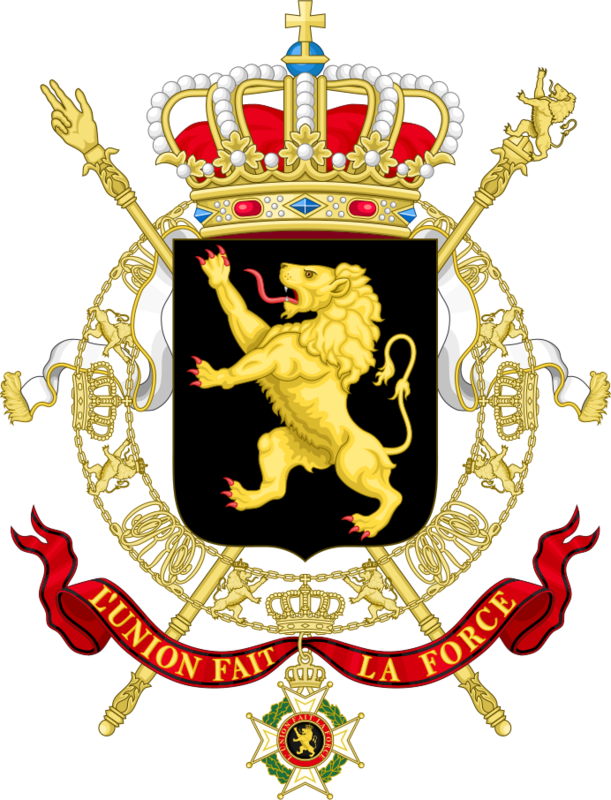 Henry Victor Marie Ghislain, Count Carton de Wiart (31 January 1869 – 6 May 1951) was the 23rd Prime Minister of Belgium from 20 November 1920 to 6 May 1921. He was member of the aristocratic house of Carton de Wiart, his brother Edmond Carton de Wiart was the Grand Marshall of King Baudouin. Herman Achille, Count Van Rompuy (Dutch: Herman Achille, Graaf Van Rompuy, pronounced [ˈɦɛrmɑn vɑn ˈrɔmpœy] (listen); born 31 October 1947) is a Belgian politician, who formerly served as Prime Minister of Belgium and then as the first President of the European Council. A politician from Belgium's Christian Democratic and Flemish party, Van Rompuy served as the 49th prime minister of Belgium from 30 December 2008 until Yves Leterme (who was also his predecessor) succeeded him on 25 November 2009. On 19 November 2009 Van Rompuy was selected by the members of the European Council, which is the institution of the European Union (EU) comprising the heads of state or government of the EU member states, as the first full-time President of that Council under the Treaty of Lisbon. He was appointed for the period from 1 December 2009 until 31 May 2012, though he only took up his position officially on 1 January 2010. On 1 March 2012 he was re-elected for a second (and last) term, to last from 1 June 2012 until 30 November 2014. Jean Pierre Duvieusart (10 April 1900 – 10 October 1977) was a Belgian Catholic politician of the PSC-CVP who served as Prime Minister of Belgium (1950). Joseph Clovis Louis Marie Emmanuel Pholien (28 December 1884 – 4 January 1968) was a Belgian Catholic politician and member of the PSC-CVP. He was born in Liège, and volunteered to serve with the Belgian army during World War I, being commissioned as a first lieutenant. He was Minister of Justice under Paul-Henri Spaak from May 1938 to February 1939 and was the 37th Prime Minister of Belgium from 16 August 1950 to 15 January 1952. In 1966, he became a Minister of State. His term as prime minister is notable for seeing the departure of the Belgian United Nations Command (BUNC) to fight in the Korean War (1950–1953). He was the last Christian Democrat prime minister from Wallonia. Jules Laurent Jean Louis Renkin (3 December 1862 – 15 July 1934) was a Belgian politician. Born in Ixelles, Renkin studied and practised law, and helped found the journal L'Avenir Sociale. In 1896 he was elected as a member of the Catholic Party to the Belgian Chamber of Representatives for Brussels, a seat he held until his death. Original on the Christian Democratic wing of the party, Renkin's views became more conservative with time. He held several ministerial posts, Justice in 1907–1908, Colonies from 1908 to 1918, the Interior in 1918–1920, and Railway and Posts from 1918 to 1921. In 1920 he was named an honorary Minister of State. In 1931 he became the 28th Prime Minister of Belgium, also holding the Interior, Finance, and Health portfolios. His government was unable to deal effectively with the economic crisis facing Belgium at the time and fell in 1932. He was married to Emma van Hamme. Jules Philippe Marie de Burlet (10 April 1844 – 1 March 1897) was a Belgian Catholic Party politician. Born in Ixelles, de Burlet was educated as a lawyer. He practised law in Nivelles, where he made his home, and he served as mayor of the town from 1872 to 1891. From 1884 he represented the Nivelles constituency in the Belgian Chamber of People's Representatives. In 1891 he became Interior minister and in 1894 he left the chamber and became a member of the Belgian Senate. At the same time he became the 15th Prime Minister of Belgium. On leaving office he was made an honorary Minister of State and served as Belgian ambassador to Portugal in 1896–1897. He died in Nivelles in 1897. Jules Henri Ghislain Marie, Baron de Trooz (21 February 1857 – 31 December 1907) was a Belgian Catholic Party politician. De Trooz was born in Leuven, and had studied philosophy before entering politics. He represented Leuven in the Belgian Chamber of People's Representatives from 1899 onwards, serving as Education and Interior minister. In 1907 he became the 18th Prime Minister of Belgium, retaining the Interior portfolio. He was the second Belgian Prime Minister to die in office, after Barthélémy de Theux de Meylandt. Paul Emile François Henri Vanden Boeynants (pronounced [ˈpʌul vɑndɛn ˈbuinɑnts]; 22 May 1919 – 9 January 2001) was a Belgian politician. He served as the 41st Prime Minister of Belgium for two brief periods (1966–68 and 1978–79). Paul Joseph, Count de Smet de Naeyer (13 May 1843 – 9 September 1913) was a Belgian Catholic Party politician. Born in Ghent, son of a cotton industrialist, he was himself also an industrialist and a banker. He was head of the Société Générale de Belgique and the owner of several coal mines. He represented Ghent and Eeklo in the Belgian Chamber of People's Representatives from 1886 to 1908, and served in the Belgian Senate from 1908 to 1913. He served in several governments, as Finance minister from 1894 to 1896, and again from 1899 to 1907, combining the portfolio with the Ministry of Public Works. He was the 16th Prime Minister of Belgium from 1896 to 1899, and again from 1899 to 1907. Prosper Antoine Marie Joseph, Viscount Poullet (5 March 1868 – 3 December 1937) was a Belgian politician. Born in Leuven, Poullet studied law at the Catholic University of Leuven and was later a professor at the university. He was of member of K.A.V. Lovania Leuven, a catholic student fraternity associated with the Union of Catholic German Student Fraternities. A successful politician, Poullet was a member of the Catholic Party and sat in the Belgian Chamber of Representatives. He frequently held ministerial office between 1911 and 1934, holding the Arts and Science portfolio from 1911 to 1918, Railways and Posts from 1919 to 1920, Interior Minister in 1924–1925 and 1932–1934, Economic affairs in 1925, Justice in 1925–1926 and War in 1926. He served as the 26th Prime Minister of Belgium in 1925–1926 and was named an honorary Minister of State on leaving office. Yves Camille Désiré Leterme (Dutch: [ˈiːf ləˈtɛrmə]; born 6 October 1960 in Wervik) is a Belgian politician, a leader of the Christian Democratic and Flemish party (CD&V). He was the 48th Prime Minister of Belgium, from November 2009 to December 2011. Leterme was the Prime Minister of Belgium from March 2008 to December 2008. He has been Minister of Foreign Affairs, Deputy Prime Minister and Minister of Budget, Institutional Reforms, Transport and the North Sea in the Belgian federal government. He is a former Minister-President of Flanders and Flemish Minister of Agriculture and Fisheries. Despite his French name, Leterme is Flemish. He is fluent in Dutch, French and English. On 14 July 2008, facing the imminent failure to meet a self-imposed deadline to enact "constitutional reform" consisting of further devolution of powers to the nation's three linguistic communities, Leterme tendered his resignation to King Albert II. On 17 July, King Albert, after holding a flurry of consultations with leaders of political parties, labour unions, and the employers' association, rejected Leterme's resignation. Instead, the King appointed a three-person commission of representatives of the linguistic communities to investigate how to restart the reform process. The commission was to report to the King by 31 July 2008.On 19 December 2008 he offered his resignation to King Albert II after a crisis surrounding the sale of Fortis to BNP Paribas. On 22 December 2008 the King accepted his resignation, along with that of his entire government. He remained Prime Minister until 30 December, when Herman Van Rompuy was appointed as his successor. On 24 November 2009, it was announced that Leterme would once again become Prime Minister, succeeding Van Rompuy, who had been selected to become the first President of the European Council.On 22 April 2010 he once again offered his resignation to King Albert II after a key Flemish party, the Open Flemish Liberals and Democrats, withdrew its support for the coalition government. An election followed in June, resulting in protracted attempts to negotiate a governing coalition. Leterme remained as caretaker Prime Minister, but on 13 September 2011 announced that he would leave the post by the end of the year to take up the position of Deputy Secretary-General at the Organisation for Economic Co-operation and Development. On 6 December 2011 Leterme was finally succeeded as Prime Minister by Elio Di Rupo, ending the longest run of a caretaker government in the developed world. The following day he was appointed to the honorary title of Minister of State.